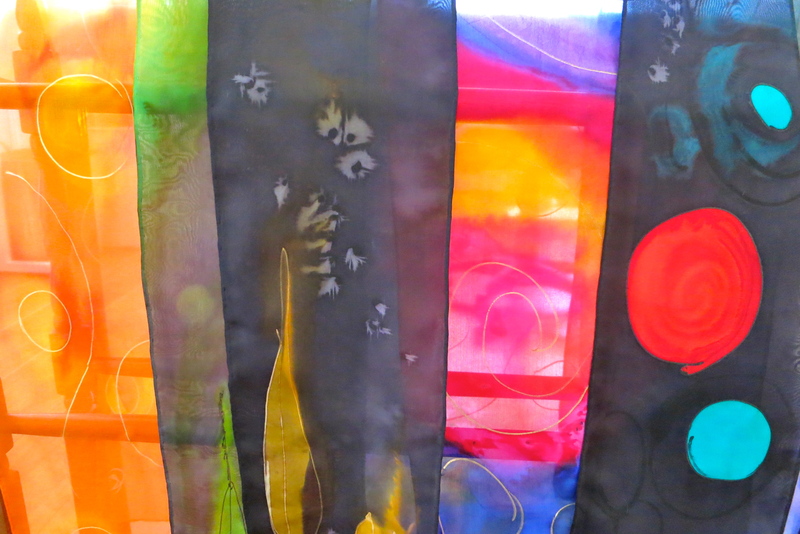 My love affair with dyes and silk continues. I just love the way colour is transported serendipitiously to the folds in silk fabric. Also allowing the dye colours to travel to form abstract shapes. Anything that moves away from realism attracts my hand and eye. A small sample is shown. You are currently browsing the Crafty Quilting with Pamela blog archives for April, 2015.